The cycle of Paul’s activity can be categorized by decade. 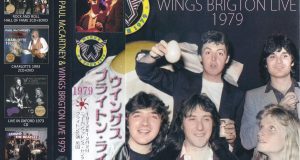 The era of Wings in the 70’s. Although in the early 1980s he worked on album production and movie production, the second half was a period to be called a stagnation period. The biggest feature is not doing a tour in the 1980s. Then in the 1990’s, in the first half we will be on a world tour twice. 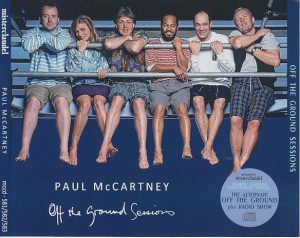 It was a tour accompanied by a new album for each and it was a period in which Paul’s sense of active presence appeared. However, in the latter half of the 1990s, as Linda’s disease condition worsened, it will not appear again on the stage. The last tour with Linda, who shared the stage since the Wings, was the 1993 New World Tour. 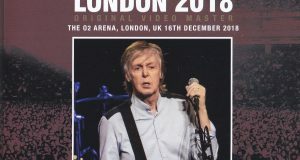 The tour “GET BACK TOUR” for the first time in ten years that began in 1989 contains plenty of songs from the Beatles era that were only played in the songs until then, and Paul says “That is my song” It was. Perhaps I felt the response with GET BACK TOUR, from now on, we will adopt the songs of the Beatles era into the set list one after the other until today. As of 1990 Paul is 48 years old. It is sufficiently young from the current viewpoint, and speaking of the current Noel Gallagher and the same age, it is still early to grow old. Already the children became bigger and it became unworkable, and while making the songs of the Beatles era worried, releasing a new album, a tour that doubled as a promotion accompanying it, the original activity of active musicians was recorded at this time It was what was doing actively. As mentioned earlier, following the GET BACK TOUR from 1989 to 1990, we will go back to tour again in 1993. Prior to that, I decided to create a new album with tour members. As a tour of an active musician who is not just a nostalgic hobby, the new album was absolutely necessary. And it was “OFF THE GROUND” that was born. 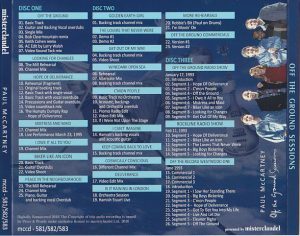 Many songs were premised on performing on tour, and dubbing was kept to a minimum, and it is said that it was recorded almost in the studio live format. It has been played even at live songs that became album titles. It is a song mainly composed of rhythms while Paul uses Falsetto on an impressive riff. The track 1 BASIC TRACK has a mix of vocals on the front and it feels as if it is singing in front of me. Breathing that I could not hear in the release version is recorded. It is interesting that places such as putting in hands with ha ha ha especially with interlude are clearly recorded. There is no chorus and it is singing with Paul alone. Track 2 is guitar and chorus overdubbing. Paul’s lead vocal sounds dull, but the guitar and chorus are the main tracks. That would be the completion of that heavy song in this way. SINGLE MIX is a different version to the chorus at the beginning. VIDEO MIX furthermore guitar solo is added to the beginning of the song. It is a light rock tune located in the second album track. Lyrics are contrary to animal experiments, and in an actual concert, the state of animal experiments was projected on the screen. THE MILL REHEARSAL is a performance by recording rehearsal as its name suggests. Because it was originally recorded live, there is almost no difference from the release version, but Paul’s vocal is another take. CHANNEL MIX has become a mix with emphasis on guitar. I suddenly come out with the guitar suddenly. It was probably the best known song on this album, because it was single-cut, because it was frequently broadcast on television in Japan. BACKING TRACK is karaoke. 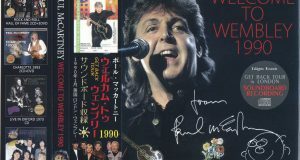 Unlike the era of the Beatles, it is a song created by this method of recording orchestra first and adding vocals afterwards, in that respect it is different from other songs in this album. It would have been carefully made on the premise of making it single. I do not even have choruses, even vocals. After that, Paul’s vocal dubbing on a single track, followed by percussion and guitar dubbing tracks. This song co-written with Costello was leaked to “FLOWERS IN THE DIRT” and was recorded slide. Indeed it makes me feel Costello or the atmosphere of the previous work. Outtake of this song is not excavated, but another mix is ​​recorded in this work. The only live performance was performed at the royal performance on March 23, 1995, played with a duet with Costello with the addition of string instruments. This is the only confirmed live performance. This song and out take is not excavated, the take recorded in this work is another mix that lowered the vocal and put the piano etc. on the front. Only the UP CLOSE of 1992 was played on the live, and not played at the concert. It is a song that I want you to pay attention to because it is a beautiful melancholy melody. Paul seems to decide to “put what kind of song on what track” in composing the album. And it tends to insert a rock number that always appears in the live performance in the middle of the A side says in the album LP. This song of rhyming titled Biker, Laikuan, Aikan, is one such song. Of course, even live performances are played every evening, and the big Virgin Mary was shown on the screen. In BASIC TRACK it seems that Paul’s vocals are recorded as live sounds, which is the same voice from which all effects were eliminated. Although it is a song with a slow tempo, Paul seems to like it, and was sung every time at the concert. I think that it is a simple song, it is difficult to play because the chorus is mixed and complicated. THE MILL REHEARSAL is a fragile but precious rehearsal sound source. It is a ballad by a beautiful piano. A title, good music and good lyrics and good, without impeccable impression, it is probably a famous piece full of pole likeness. The singing that used a lot of Falset in the original is also wonderful. It is the backing track that is included in this work. This song was also co-written with Costello, it was recorded as a slide because it leaked out from “FLOWERS IN THE DIRT”. Indeed it is a song that Costello color can not write with Paul alone in front. Costello’s main writing up, I feel like something like an intention to set seniors and expose a new aspect of Paul. Two versions of the demo are included in this work. While playing simple with only piano and akogi, the vocal vocals are as rich as band performances. Costello keeps on chorus to the last, and Paul dares to know that he is singing with a rough voice of rattling. It is an intense rock number of a title that looks like a bad turning point. This song was also played on the stage every time. Like “LOOKING FOR CHANGES”, it will be a song supposed to be a live from the beginning. VIDEO SHOOT on track 5 is the live performance for shooting, but it is arranged the same as the studio version. However, it is a wonderful version with a sense of running with just live take. Especially the back playing performance somewhat earlier, the pace of echoed pole vocals is desperate to keep up with the delay, the tension is dying. In the album, it is a song that plays a role of breathing again here again. It is a song to connect to the next “C’MON PEOPLE” in a form to be paired with “GOLDEN EARTH GIRL”. REHEARSAL is a play, a version that is singing lightly at up tempo so that Paul often does. Listening to the lyrics and finally knowing this song is a completely different song. In addition, another mix and backing track are recorded. And the best masterpiece in this album will be “C’MON PEOPLE” no matter what. It is a style that followed the “HEY JUDE” that starts gradually from the piano and gradually rises up, and finishes with a large circle at the end. 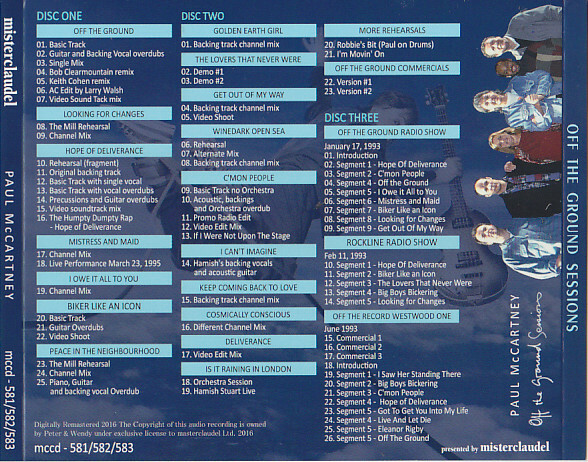 BASIC TRACK is a mix before the dubbing of the orchestra, with Paul’s vocal on the front. There is no kind of effect on Paul’s vocals, just a live song. The freshness that Paul ‘s breathing seems to be heard is unbearable to fans. Especially when moving to the chorus Paul is goose bumps like putting “Du Dudu Doudou” in the mouth. There are places occasionally double tracks, and since the chorus is also included to a certain extent, it turns out that it is of a stage that has advanced considerably. The biggest highlight of this work is BASIC TRACK of “C’MON PEOPLE”. After that, a version with acoustic guitar and orchestra added, and another mix etc are recorded. The last “If I Were Not Upon The Stage” is probably a play when playing the video of “C’MON PEOPLE”. Both are outtakes of the same album that was also included in “COMPLETE WORKS”. Whether John’s “IMAGINE” was at the head or not, I’m squeezed into a title that denies his best friend’s song. The songs themselves are merely leaked out of the album and are nothing else but songs announced at the level of a single soup. Here it is an extract sound source of Heimish chorus and acoustic guitar. It was last recorded as a secret track of the album, but it was very short. In addition, “COMPLETE WORKS” will be recorded full length version. According to the commentary of that time, it was a crowd that it was an outtake of the Beatles, a song created when I went to India during the Beatles period. Indeed it is certainly a song with an oriental atmosphere, the lyrics are those that incorporate Maharishi ‘s habit. At that time I was never played on the live and it was not a particularly noticing song, but as I played it in New York only once in 2009, it became known again. It is a song that has magical power to become a habit while playing simple songs. Although the titles are similar, it is only dancing lyrics of “HOPE OF DELIVERANCE”, and the song itself is not related, it is dance music. It was announced as simultaneous song of single “C’MON PEOPLE”, it is still difficult to obtain. It was a fashionable episode of the time, and it is being heresy in the history of Paul. What is recorded in this work is VIDEO EDIT MIX.